AC Compressor Scrap that we are offering is widely acknowledged for its excellent strength, corrosion resistance and durability. They are intricately processed under the strict vigilance of the experts and at par with the set industrial norms and standards. 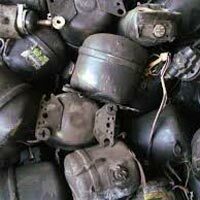 We are a renowned AC Compressor Scrap Exporter and Supplier from Thailand. We make them available in various grades and specifications to meet the variegated industrial requirements. Furthermore, we can process retail and bulk orders on request.